I-77 Exit 85 628 CC Camp Rd. 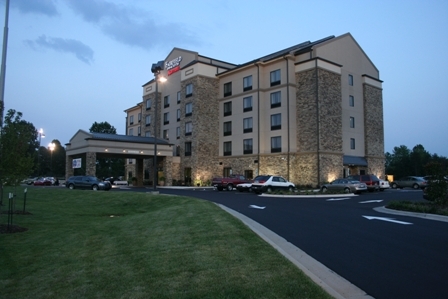 In the heart of North Carolina's Yadkin Valley Wine Appellation, the Elkin/Jonesville Fairfield Inn and Suites provides you with just the travel experience you are looking for! As our guest, you will enjoy convenient access to many local attractions, including art galleries, more than 20 restaurants, and over 20 award-winning wineries! When business or leisure travel brings you to the Hampton Inn & Suites Shelton Vineyards all your expectations will be exceeded! 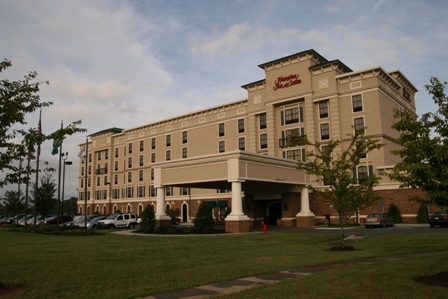 Discover this gateway to the Blue Ridge Mountains, the Yadkin Valley Heritage/ Cultural Corridor and local wineries when you stay at the award winning, Quality Inn hotel in Jonesville, NC. The Barn at Heritage Farm is located on a farm in the foothills of NC and is available for weddings and events.